No party will be complete without our stylish mini barrel drinks dispenser - the perfect centre piece for any drinks table! It will look the part at a BBQ, house-warming or birthday party. The dispenser stand even includes personalisation, making it a wonderful gift for any occasion. 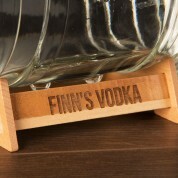 The chunky glass container sits on a small wooden stand which we laser engrave in house with the recipient's name and drink preference – longer names may appear smaller. 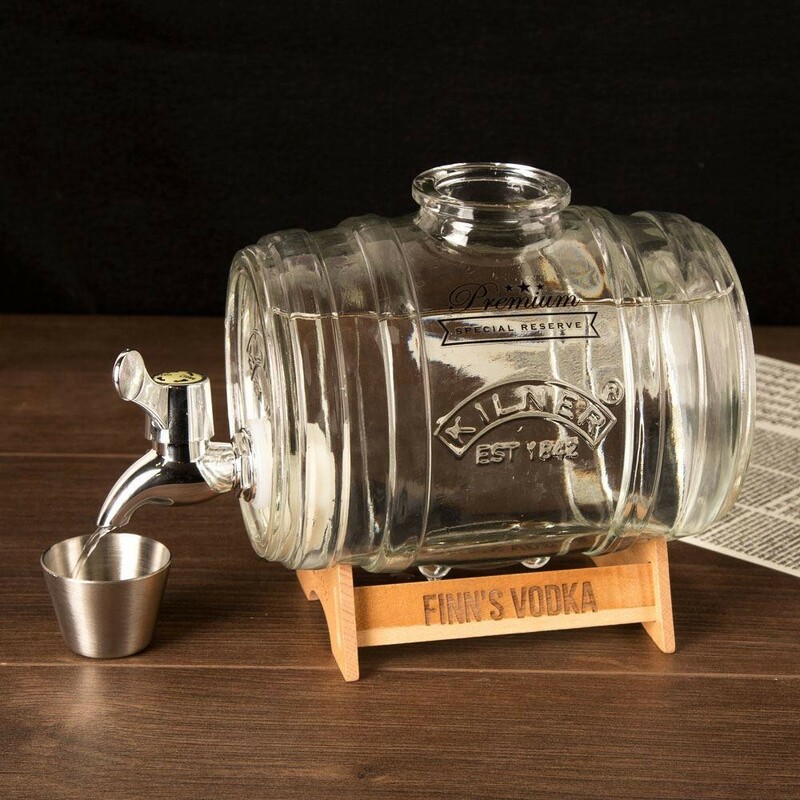 It features a small pouring tap and 'Kilner' embossed branding. 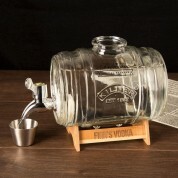 The stopper doubles up as a jigger, holding a single measure of your favourite drink. We think it would make a brilliant gift for Father's day, a 21st Birthday or at Christmas time, though it would suit any celebratory occasion! 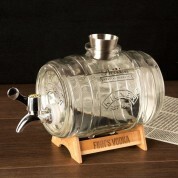 It will fit snugly on the kitchen worktop, or tucked away in a drinks cabinet. Dimensions: Approx. 14cm tall (inc. base) 21cm long (inc. tap) 10cm wide. Holds 1 litre of drink. Complete in box for easy storage.